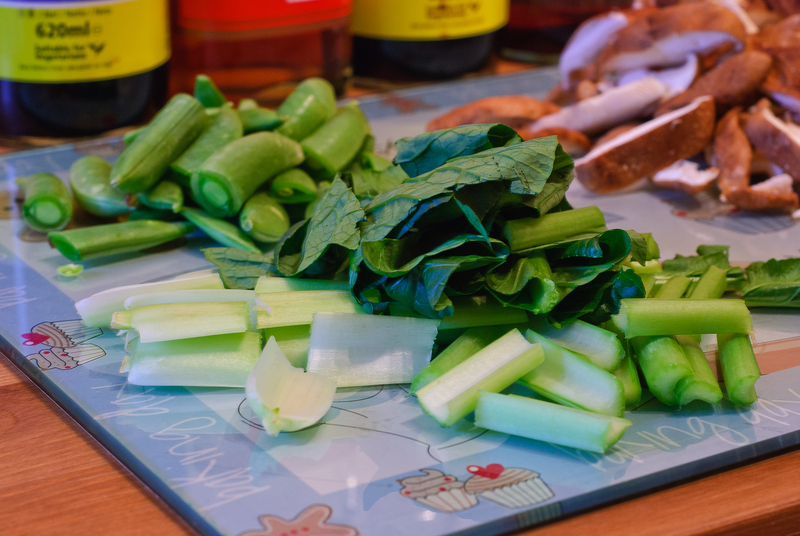 For many years now I have loved Chinese cuisine and have been trying to learn how to cook it for myself at home, I thought it was about time that I shared a few recipes with you all!! 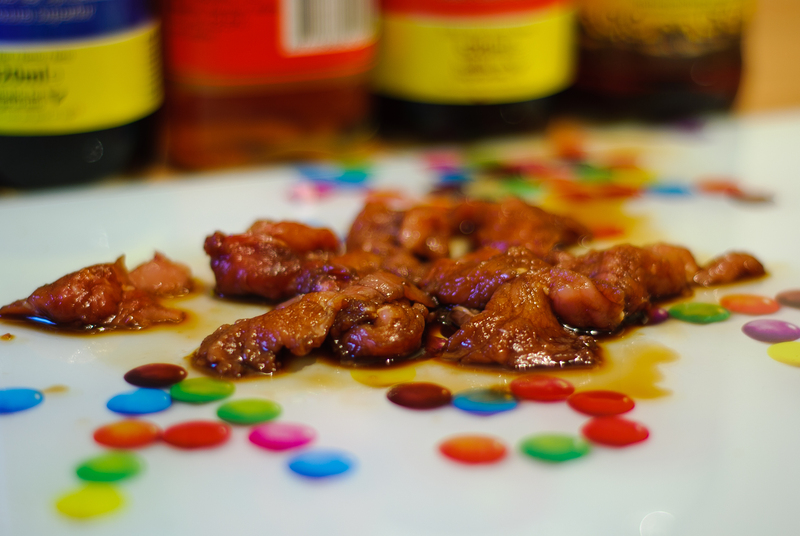 1) Marinate the Pork fillet in the rice wine and dark soy sauce for 10-15 minutes. 2) Just before cooking, dust the Pork in lightly in cornflour. 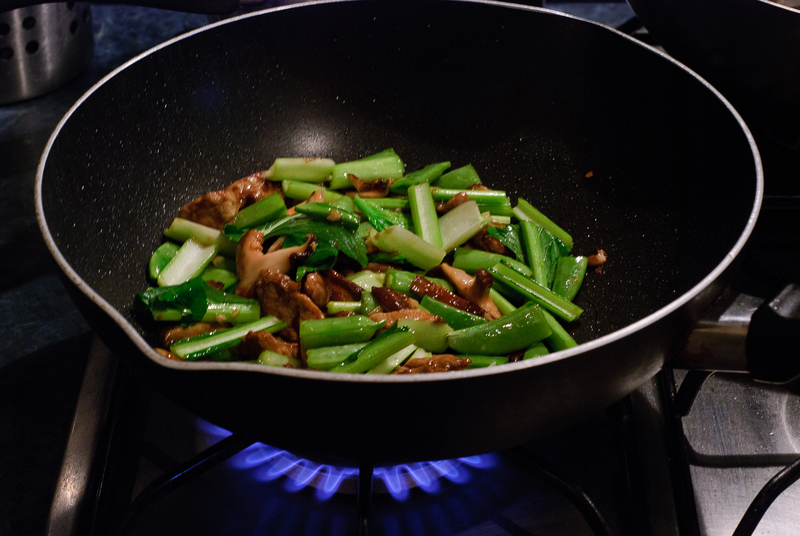 Heat a wok over a high heat and add the groundnut oil. 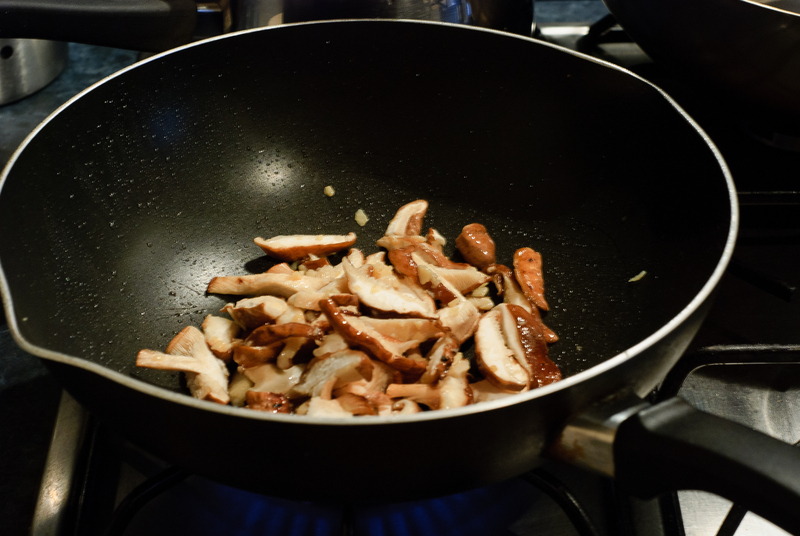 When the oil starts to smoke, add the garlic and the mushrooms and stir-fry for a few seconds. then add the pork and stir-fry for a few minutes until slightly browned. 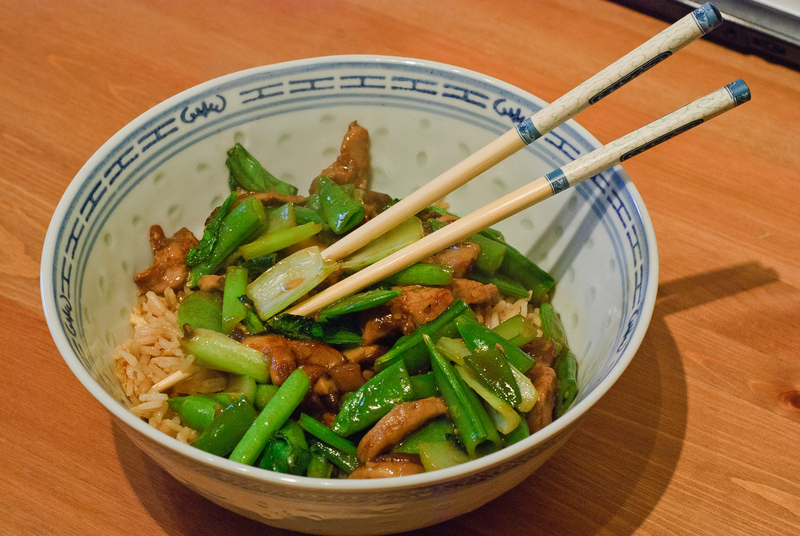 3) Add the choi sum stems and stir-fry for 2 minutes until tender, then add the Sugar snap peas and choi sum leaves. 4)Add the hot stock and cornflour paste to thicken. Season with light soy sauce and sesame oil. Serve immediately with egg fried rice! 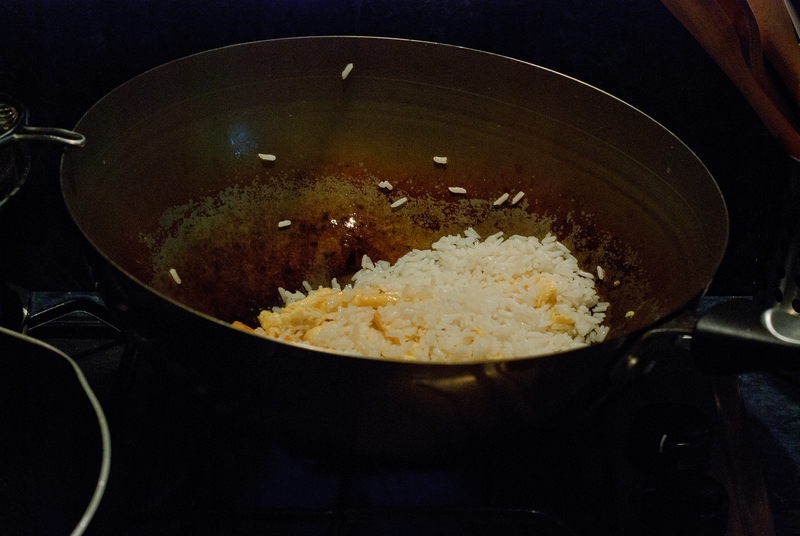 1) Place the rice in the in a heavy based saucepan and add the water. Bring to the boil and then cover with a tight fitting lid and reduce to a low heat. Cook for 15-20 minutes. 2) Uncover the pan and remove from the heat. Pour rice through a sieve and wash with boiling water. Then set aside. 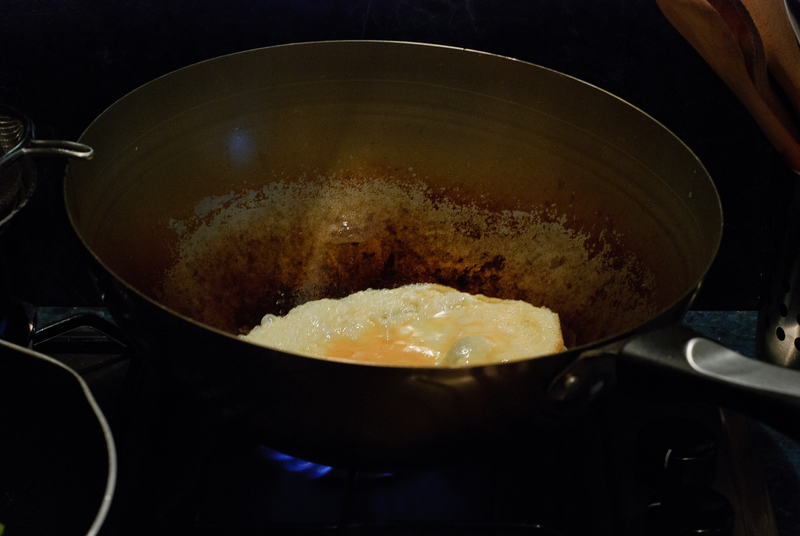 3) Heat a non-stick wok(to prevent the eggs from sticking) over a high heat and add the groundnut oil. Add the eggs and scramble for a few minutes, then add the rice and stir well to break it up. 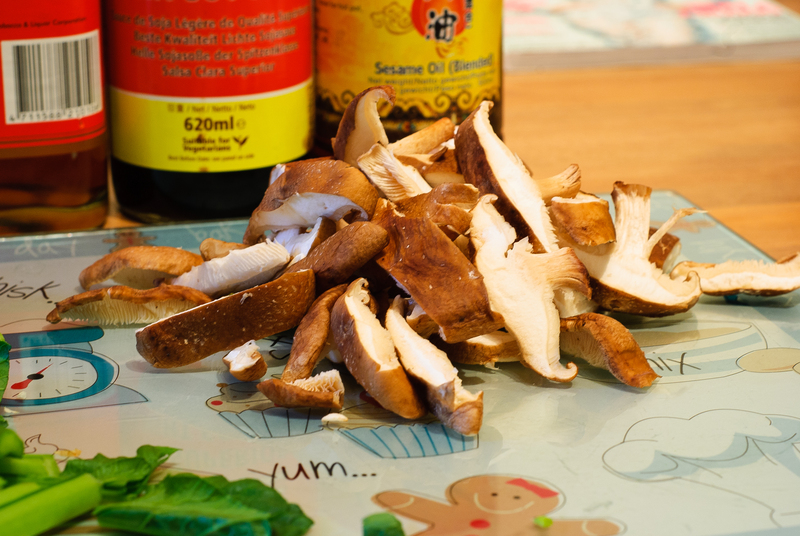 4) Season with the soy sauce and sesame oil. Add the spring onion, mix well and serve. 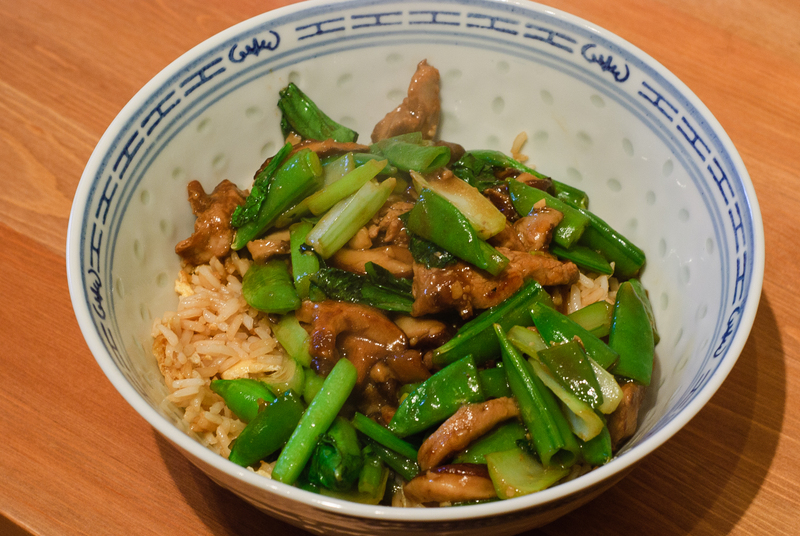 I made this yesterday: just the pork veggies dish, and a modified version using snow peas instead of sugar snap peas and without the shitake (since I didn’t have any, sadly). It was great! I absolutely love choi sum — so crunchy and tasty — but alas I never know how to prepare it besides just steaming it with garlic salt and oil. The use in this recipe looks delicious and easy so I’m bookmarking it and will give it a try later. Thanks!